The national public broadcaster, Nippon Hoso Kyokai (NHK) operates three national networks. NHK1 is a general news and entertainment network, NHK2 is centered around education and also features some foreign language programming and English language instruction. Both of these networks operate primarily on AM. Like with NHK television, the networks may include a mix of national and regional programming from the various NHK programming centers located throughout the nation. A third national network, operates solely on FM. Currently in Japan, there is an average of one AM broadcast station per prefecture (and there are 47 prefectures in Japan). Prefectures are kind of like states. Some areas, such as Tokyo and Osaka have multiple stations. AM stations operate within a specific market area and are allowed to construct relay stations on AM and in some cases, relays on the original FM broadcast band 76-90 MHz. Japan also has about an average of 1 to 2 "full-service" FM broadcasters per prefecture. Like with their AM counterparts, FM stations are permitted ot put up relay stations on FM in various parts of their service areas in order to fill gaps in coverage. Japan also has about 200 community FM stations scattered throughout the country. These stations are assigned a coverage area and may operate up to 20 watts transmitter power output (meaning that if they use a gain antenna, their effective radiated power will be higher). Community stations may construct additional facilities on the same channel (a single frequency network, SFN) in order to cover their area. Unlike LPFM stations in the USA, Japanese community stations are permitted to carry commercials. The American Forces Network (AFN) operates a high power AM station in Tokyo on 810 kHz to serve Yokota and Yokosuka, an AM station on 648 kHz and companion FM station in Okinawa and lower-powered AM stations at other bases such as Sasebo and Iwakuni. 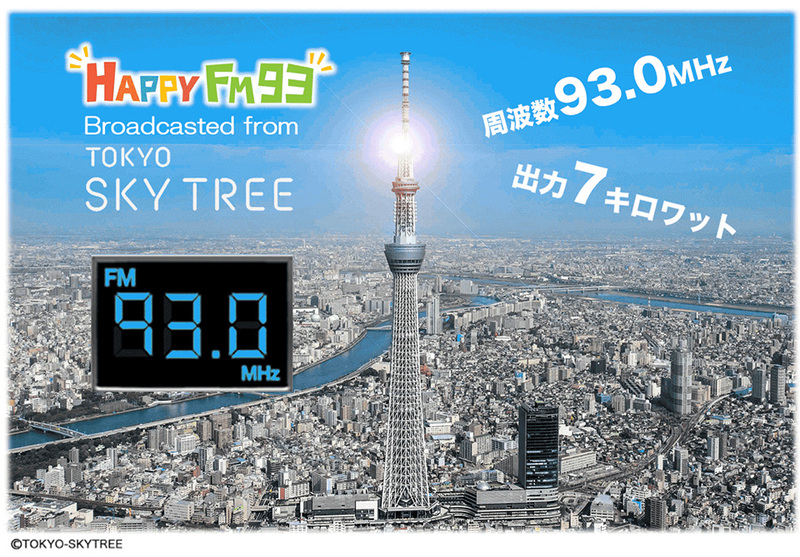 The frequency band for FM broadcasting in Japan is 76 to 90 MHz. In the United States, 76-88 MHz is used for television channels 5 and 6. In Japan, the 90-108 MHz spectrum was originally used for low-VHF television. When television in Japan was converted from analog to digital, all television was moved to UHF and the VHF bands were abandoned. 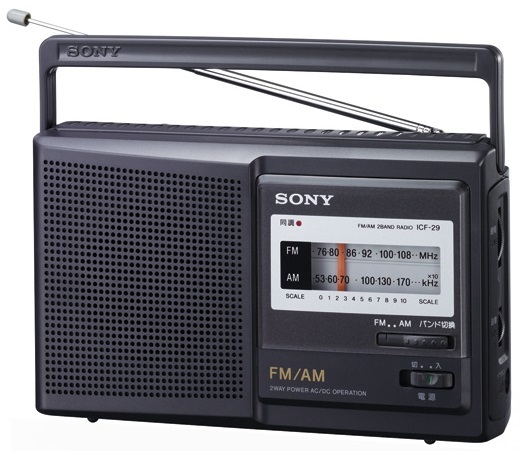 After the analog shutdown, the MIC would reallocate the 90 to 95 MHz band as an expansion of the FM broadcast band for the sole purpose of providing "AM complementary services". This expanded band was marketed as ワイドFM (Wide-FM). The Japanese Government, AM broadcasters and the consumer electronics manufacturers in Japan worked together to raise awareness of Wide-FM. As a result, the industry has made available many different radio models that can tune the entire FM band from 76-108 MHz. Japan does not have a terrestrial digital audio broadcasting system. There is no system like the United States HD Radio nor something like DAB or DAB+ that is used in other parts of the world. The 95-108 MHz spectrum was reserved by the MIC for something called "multimedia broadcasting". While there were licenses given in the past for this spectrum, it appears the system has not panned out. Instead, all Japanese radio stations, AM and FM commercial and NHK are available on an internet platform radiko.jp. Radiko is only available within Japan and the site uses your IP address to route you to stations appropriate for your area (for example, if you are in Tokyo, you will not see FM802 from Osaka as a choice). Recently, radiko made "out of town" radio stations available as a premium service. Since the launch of Wide-FM, most AM broadcast stations in Japan have already constructed at least one station, normally to serve the key city of their broadcast area. Some have launched additional transmitters. Because of Japan's terrain, many areas are cut off from FM service or they are currently served by very low power FM transmitters (for the existing FM broadcasters). In these areas, AM stations have been providing satisfactory service by groundwave. According to an article published in Nikkei, in 1991, the operating revenue of AM broadcasters reached ￥204 billion ($1.83 billion USD based on 1991's exchange rate). Recently, this statistic has reduced about 60% to ￥79.7 billion ($750 million USD based on 2018's exchange rate). When you divide today's revenues by the 47 commercial AM broadcasters in Japan, each station averages about $16 million in revenues annually. Now, from a spectrum management perspective, there is still spectrum in Japan. Unlike in the USA, FM service areas are 54 dBu (likey they are in the rest of the world) on stations. Since there's not as many broadcast licenses in Japan, there is plenty of room to spread out. There was never a Docket 80-90 there that encouraged filling the dial with stations wherever they can fit. WIth the exception of the community stations, the broadcast industry in Japan is sort of a country club. There is some media consolidation, especially in television, but it is not as bad as iHeart Media in the United States or Global in the UK. Also, unlike the FM translators in the USA that are being used right to "revitalize" AM, the new complementary FM stations that are, for now enhancing the AM station's signal are real transmitters with higher powers. Take a look at the FM Wide transmitters for JOKR TBS Radio on 90.5, JOQR Bunka Hoso on 91.6 and JOLF Nippon Hoso on 93.0. All of these Tokyo area stations are on the Tokyo Sky Tree tower with an ERP of 57 kW (7kW TPO) at about 632 meters HAAT. Many of the stations outside of Tokyo operate at lower powers. What may be happening in Japan (and for all purposes what has been happening in Germany, Norway, France, much of Mexico and other nations) would be nearly impossible to happen here in the USA because of how much the FM loading that we have on the FM spectrum. Even with the FM Wide allocation, the FM band in Japan is still smaller than the one in the USA and many other nations of the world. Here in the USA, we will have to look at several methods of accommodating AM stations going forward and yes, some of these ideas will not sit well with some of you. Common sense would dictate that if there is not enough space in the room, you must either make the room wider or taller. Or perhaps, you can make the things in the room smaller so more can fit in the cramped space. If we made it wider, that would mean obtaining additional spectrum for FM broadcasting. We have already shown that radios can be on a boat from Japan tomorrow. It does not take rocket science to realize that this is the most obvious solution to the issue. But then, when the idea of expanding the FM band down to 82 or 76 comes up, you have the folks who will wah-wah with the age-old battle cry of "what about ATSC 3.0?". Well, after the dismal non-existent showing of ATSC 3.0 technology at the 2019 CES, it gets me wondering, what ATSC 3.0? Better yet, where is the public outcry for ATSC 3.0, a system that has no backwards compatibility with ATSC 1.0 and would require the consumer to purchase a new receiver, if one would wash up on our shores. When you take into consideration that right now, there are only 9 full service licensed TV stations on Channel 6 and 20 full-service stations on Channel 5 and there are thousands of AM stations that can be relocated into this spectrum, be given primary service and a decent amount of power. Not only will this give struggling Class C and D AM broadcasters a new lease on life, but they could expand opportunities for new community stations to share the dial. Now, the question that I don't have the answer to but is something we really need to think about as digital technology gets more spectrally efficient going forward and the current nature of the television industry, does TV still need a 6 MHz wide channel? Even shrinking a TV channel to 5.5 MHz wide will give us the FM bandwidth we need to bring sound broadcasting down to 76 MHz. Now, let's look at growing the room upwards. This would mean a massive awareness and growth of HD Radio technology or some other form of digital radio that would be compatible and would be accepted by the manufacturers and does not involve extensive royalties to purchase and operate. AM stations that are in clusters should be required to use their existing FM facilities as a transition of their AM streams to HD subchannels. Another option (and yes, I am covering my head) is eventually evolving to an all-digital system on AM. Now, to "make things in the room smaller" as I suggested, we may have to look at other unpopular ideas. Recently, I listened to the Scott Fybush Top of the Tower Podcast #035 where he featured WWFD in Frederick, MD; an AM station that has received a special temporary authority by the FCC to operate all-digital. The demonstration was fairly impressive as the HD would make it through much of the noise. Now, of course, the AM hobbyists would be against the idea of losing their listening hobby and many small broadcasters would not be interested because of Xperi's captive pricing of the system for broadcasters. Let's also not forget the consumer electronics industry's lack of support for the technology. I wonder how many HD radios were at the 2019 CES? I wonder how many HD radios that were not mobile radios were at CES? Also, I have yet to rent a car from Avis that includes HD. Perhaps, its part of a sweetheart deal with Sirius/XM? By controlling the number of licensees from the get-go and managing their spectrum a bit better, Japan can make a smoother transition from AM to FM (despite the terrain issues in many places) then it would take for AM in America to be "revitalized" for something that is more permanent unlike the FM translators and the proposed rules in the recent AM Revitalization Second NPRM. Bottom line, let's not compare our AM situation to Japan. Apples and oranges.